So you want to tour museums ? Maybe you are an art student, a young professional, travelling with your family or just on a tight budget. Well here are a few tips and tricks for you to avoid breaking the bank. Before we get started a general tip, always check the institution’s website you would like to tour beforehand. First to be sure it is open on the day you would like to go, second you might find interesting information on admission prices and also on free events happening on that day. Finally it is usally a good idea for bigger institution to purchase tickets online so you do not get stuck in the waiting line thinking “I should have gotten tickets online”. They are not museums, some of them are run by the state or by foundations and others are managed by non-profit. They support young promising artists and are welcoming. They generally have many activities for kids and a calendar filled with free events: openings, round tables, performances, guided tours, etc. A lot of them are free ! Some have a small entrance fee. If you are travelling to Paris you might want to check this website, it gathers information about all of them (unfortunately only available in French for now). You never know you might discover a contemporary artist whose work speaks to you ! I know again, not a museum, but like art centers they support artists (confirmed and young) and they are free ! Do not be afraid to push that very, very impressive glass door. You might not have the money to buy the artwork but who cares ! You might see an interesting artist and tell your friends afterwards. It means publicity and that is always good for an artist. Also you can see really cool original productions, how amazing is the one above ? 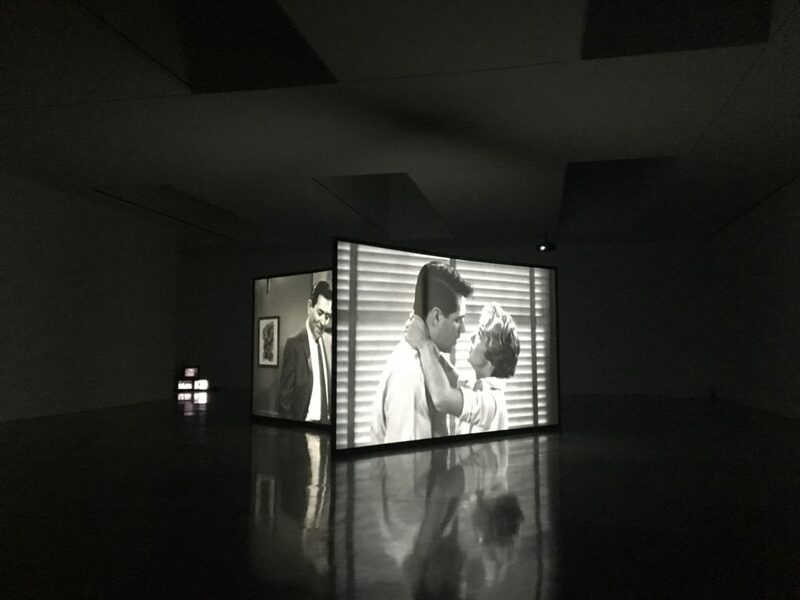 There were several giant screens showing the movie Psycho by Alfred Hitchcock. Last argument since the gallery represents the artist it means they are the best people to talk to about his work, his technique, his process. A few museums will have an after hours policy, meaning a certain day starting at a certain time entrance will either be free of charge or quite reduced. 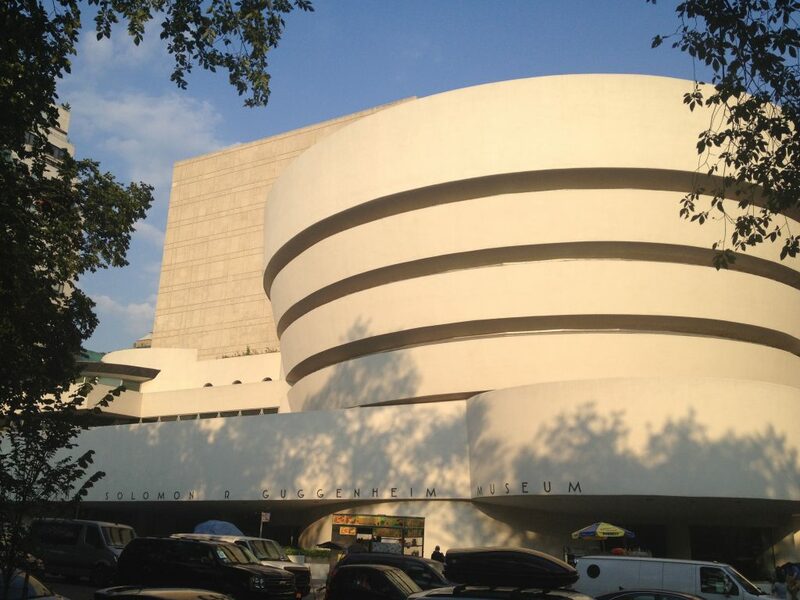 It is the case for example for the Solomon R. Guggenheim in New York on Saturdays from 5:45 pm to 7:45 pm. And let’s not forget some amazing museums are free like in London with the Victoria & Albert museum and both of the Tate ones. So many good reasons to go to London ! In France all national museums are free every first Sunday of the month. 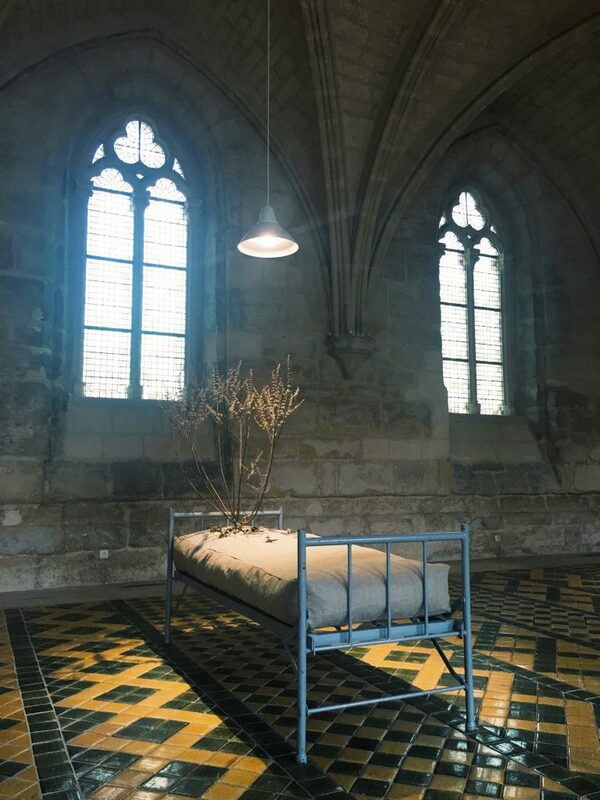 For some museums it works for the permanent collections and the temporary exhibitions, for others not so you might want to check it out before touring. It is a good opportunity to visit a pricy museum but it also means you won’t be alone, be ready for a line at the entrance. As an example it might be interesting for an institution like the Château de Versailles. Usually the entrance fee is 20€ and you get access to everything, but on these first Sundays it is free to get to see the castle and the Trianon. Not travelling to France ? check before you go there might be the equivalent in the country you are travelling to. It happens once a year everywhere in France and Europe, museums are open during the night for free. Usually it happens mid-May, so you can wait and not be too cold, because it will be crowded. Of course you can be brave and patient by trying to visit the Centre Pompidou or the Grand Palais. However my advice for you is to go in smaller towns, get on that train and go explore. There are some amazing museums in the country with far less crowds that deserve attention and often organize special events on that night. 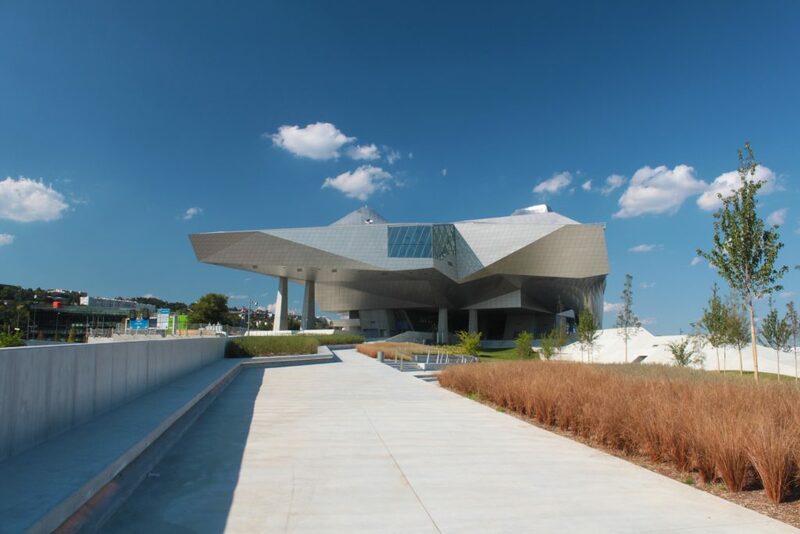 If you still want to check a big institution, in France, you can go tour the Centre Pompidou-Metz or the Louvre-Lens. Two antennas of the well-known museum which have opened in the recent years outside of Paris. Both of them can be done in a day roundtrip, to go to Metz it should take an hour and half by train and to go to Lens an hour. Journées Européennes du Patrimoine Just like the one before it happens once a year, in France and in Europe in mid-September (for France). This event is a bit different it is not focused on museums but on places you are usually not allowed to visit. Think of places like the Palais de l’Elysée (our equivalent of the White House) or the studios of our national television channel. Or like the pictures above a non-longer used metro station ! The one I would like to see this year is the water reservoir of the city of Paris, its architecture looks like a cathedral (pictured below). 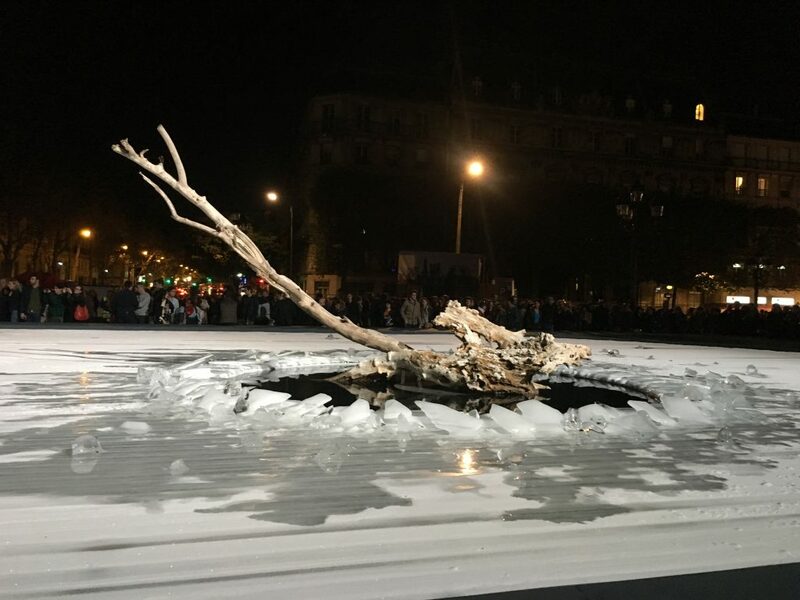 Later in the year, in Paris in October, during one night the city in covered in artworks. Allover the city there are installations, performances, concerts, events, organized by the city who selected a curator to choose a theme and artists to invite. 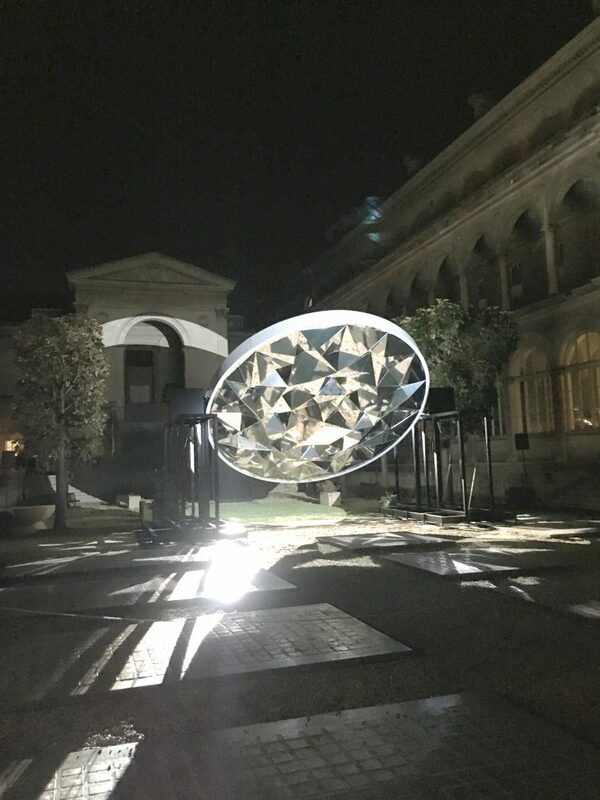 From the late afternoon to the first lights of dawn the next day you can enjoy art for free, and there is so much to see ! Planning a trip to New York soon ? Here is also a good article worth checking “All the free museum days you should know about”. Inside you will learn about all “pay-what-you-wish” days and discounts available for NYC museums. I know it takes some time to organize your trip around these days. You might not do it for every museum, but it might help save just a little bit to do that other museum/attraction or restaurant you wanted to check out. Got any more tips ? Did I forget something ? Let me know, share them in the comments ! I might edit this article and add your tip to the list !